It's nice and bright, isn't it? And here's the toilet paper roll holder I already had. It's a bit boring compared to the one my sister got me. As you can see the toilet page roll holder my sister got me is only useful for storage. 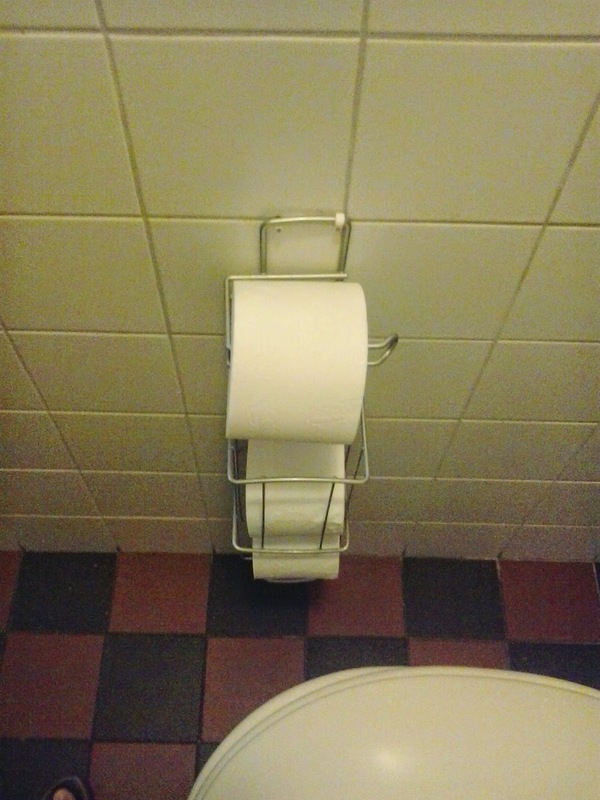 You can't easily use the toilet paper. So that's why I've decided to use both. The one my sister gave me for storage, and my own boring toilet paper roll holder for daily use. What kind of toilet paper roll holder do you have? Hi, I'm visiting from Make My Saturday Sweet. 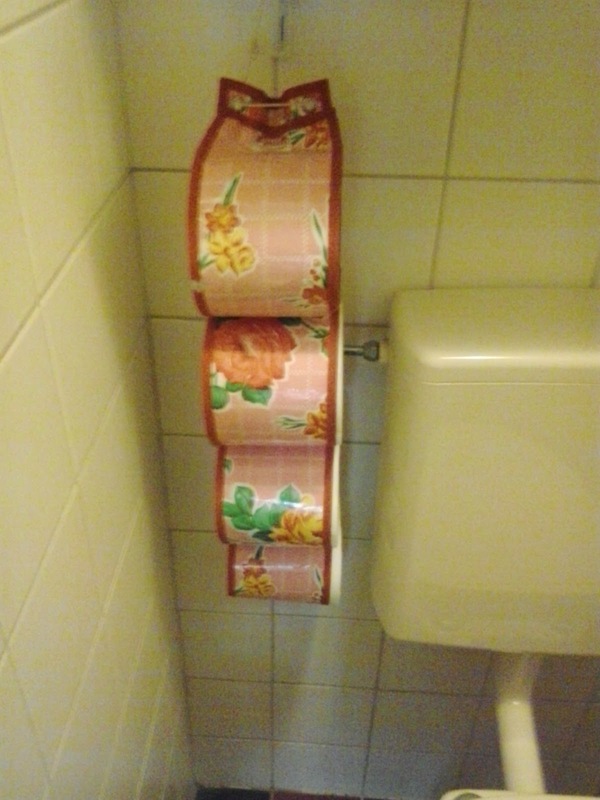 I love the toilet roll holder your sister gave you. lol maybe she thought the old one was boring.